Desnoyers Resources and Consulting is a firm specialized in executive search. Rigorous, methodical, versatile and efficient, we have helped hundreds of companies increase their performance and efficiency by hiring exceptional candidates. Our strategic approach and proven methods ensure an extraordinary added value for organizations that want to fill strategic positions. Founded in 2000, Desnoyers Resources and Consulting in 2000 reinvented industry standards to provide high-performance services tailored to the realities of the marketplace. Guillaume Desnoyers is a professional recruiter and human resources consultant with more than 25 years of experience in the field. Dissatisfied with agencies offering executive search services. Recognized for his professionalism, leadership, thoroughness, sense of ethics and flair for identifying outstanding candidates, he has advised numerous organizations and executed hundreds of assignments. Holder of a bachelor’s degree in industrial relations from the University of Montreal and a master’s degree in administration from the Université de Sherbrooke, he is a speaker, facilitator and author. He has also taught human resources management at HEC Montréal and is a member of the Quebec Order of Certified Human Resources Advisors (CHRP). 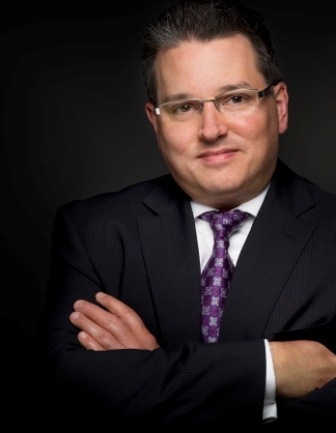 Very involved in the business community, Guillaume Desnoyers has actively participated in the work of numerous boards of directors of organizations and associations over the last 20 years. He is currently President of the Board of Directors of the Volunteer Center of Montreal where he has been a volunteer for several years.